This delightful read emphasizes the strong bonds and loveable nature of man's favorite furry pal. 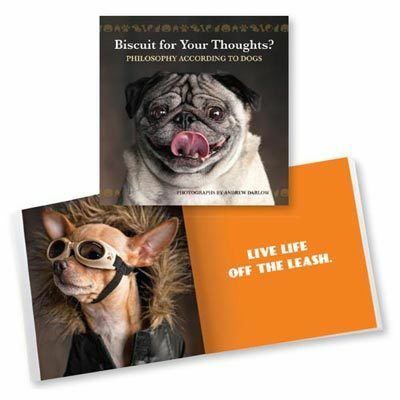 From inspirational thoughts like "Live like someone left the gate open" to its uplifting photos and more, this book will warm your heart even on the "ruffest" of days! Hardcover; 100 pages.